Video clip synopsis – The first atomic bomb was dropped on Hiroshima. Sir Mark Oliphant helped to create the bomb, but even though it ended the war he can never reconcile himself to the loss of civilian life. Broadband MP4 oliphant_bb.mp4 (5.5MB), suitable for iPods and computer downloads. Sir Marcus Oliphant is an excerpt from the program Sir Marcus Oliphant (26 mins), an episode of Australian Biography Series 1 (7 × 26 mins), produced in 1991. The Australian Biography series profiles some of the most extraordinary Australians of our time. Many have had a major impact on the nation’s cultural, political and social life. All are remarkable and inspiring people who have reached a stage in their lives where they can look back and reflect. Through revealing in-depth interviews, they share their stories – of beginnings and challenges, landmarks and turning points. In so doing, they provide us with an invaluable archival record and a unique perspective on the roads we, as a country, have travelled. P.5 A student describes the ways different technologies and media of production affect the language and structure of particular texts. P.7 A student selects appropriate language forms and features, and structures of texts to explore and express ideas and values. P.8 A student articulates and represents own ideas in critical, interpretive and imaginative texts. P.10 A student analyses and synthesises information and ideas from a range of texts for a variety of purposes, audiences and contexts. While at Adelaide University in 1927, Sir Marcus Oliphant was accepted by Cambridge University, where he became part of a team whose task was to split the atom. Following the onset of World War 2, Oliphant’s research focus changed to support the war effort. Initially, he was in charge of a team that successfully developed microwave radar. 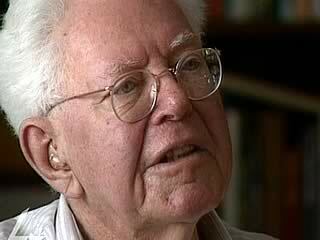 Then, in November 1943, Oliphant moved to the USA to work on the Manhattan Project — the development of the first atomic bomb. Nazi Germany was at the point of developing its own atom bomb and so the race was on. Initially, the bomb was developed for use against Nazi Germany; but after their surrender before the bomb was ready, it was used to force the Japanese to surrender. Two bombs were dropped in August 1945 with devastating results — one on Hiroshima and the other on Nagasaki. They remain the only two atomic bombs ever used in warfare. After the war he returned to Australia, where he publicly opposed the development of atomic weapons as a misuse of atomic power. 'I suddenly realised that anybody who has a nuclear reactor can extract the plutonium from the reactor and make nuclear weapons, so that a country which has a nuclear reactor can, at any moment that it wants to, become a nuclear weapons power. And I, right from the beginning, have been terribly worried by the existence of nuclear weapons and very much against their use’. On his return to Australia Oliphant became the first Director of the Australian National University’s Research School of Physical Sciences. After retiring from the ANU in 1967, Oliphant became the State Governor of South Australia in 1971. Sir Marcus Oliphant retired to Canberra in 1976 and died in 2000. Describe the significant event Sir Marcus Oliphant is associated with and the role he played. Explain what he means by ‘double personality’. Identify the issue that he cannot reconcile. Describe your impressions of this scientist. Research Hiroshima, Nagasaki and the Atomic Bomb and find fifteen different facts for each. Conduct a class debate on the topic, ‘Science is too important to be left to scientists’. Write a letter to the editor, media article or speech presenting your point of view on the issue, ‘Science is too important to be left to scientists’.